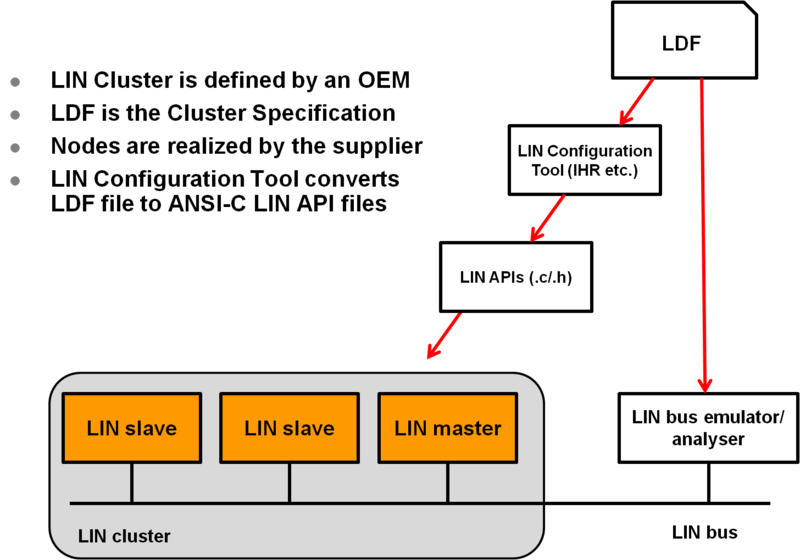 The configuration of the Local Interconnect Network (LIN) network cluster is described in the LIN Description File, or LDF. This is an ASCII-text file created by the network designer and is provided to vendors who will be developing the Master/Slave nodes. From the LDF, ANSI-C driver code and header files are automatically generated using suitable tools, such as the IHR LIN Driver Configuration Tool.